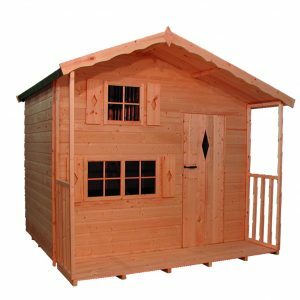 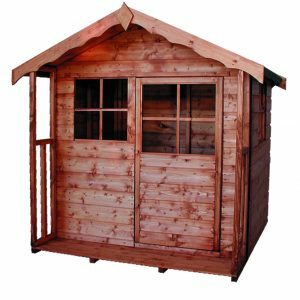 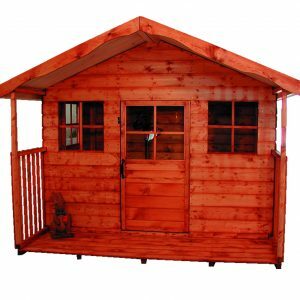 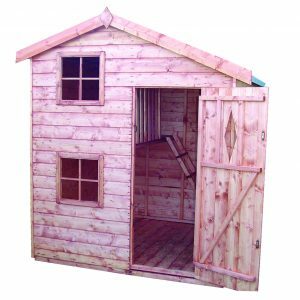 We contain a wonderful range of sturdy children’s wooden playhouses. 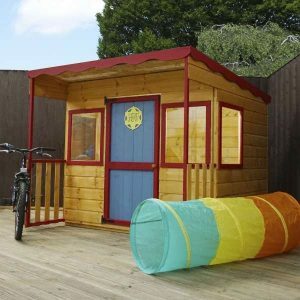 Encouraging a world of imagination and a space in which your little ones can play freely, our playhouse collection boasts hard-wearing, attractive wendy houses of different sizes that are designed with fun and safety in mind. 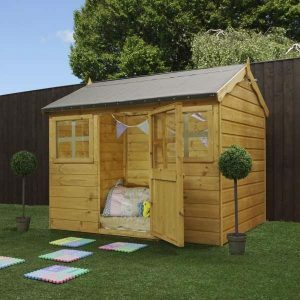 Playhouses are a perfect addition to any family garden, offering everything you need to keep your children occupied for hours. 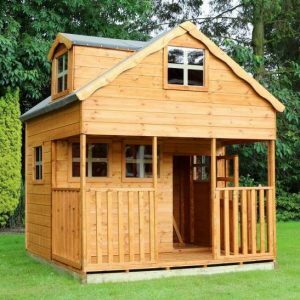 Perhaps you are looking for a simple yet traditional playhouse for you children to keep their toys and play in the garden – even when it’s raining! 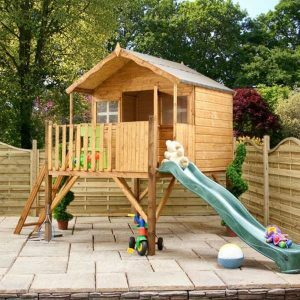 Maybe you’re after an elegant double storey playhouse so that your little ones can create a truly magical and creative space. 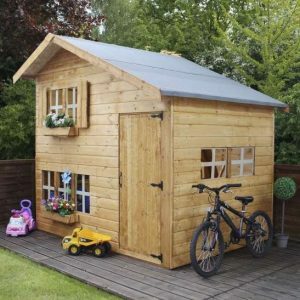 Or, why not purchase a playhouse with slides, big windows and ladders for endless hours of enjoyment. 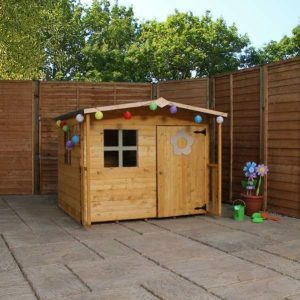 Whatever your preferences, Sheds to Last can help to design and install the playhouse of your children’s dreams. 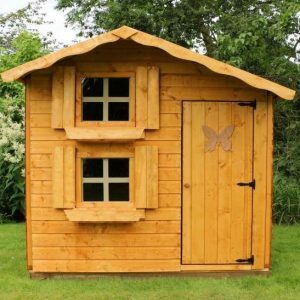 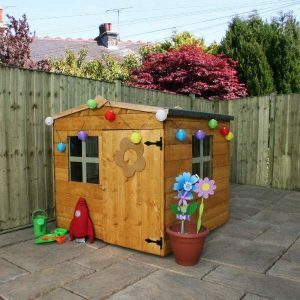 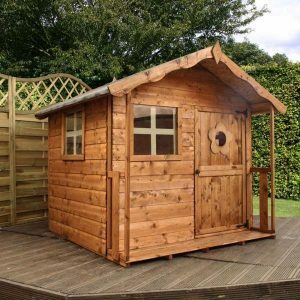 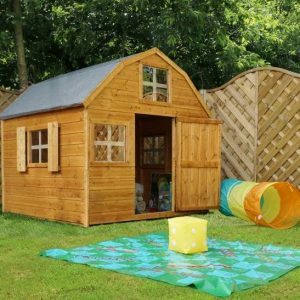 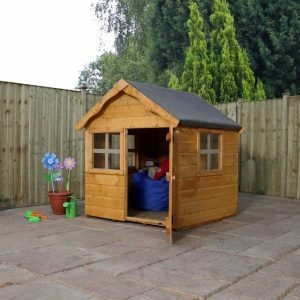 If you’re finding it hard to decide which children’s play house would work best, or you want to know more about the materials used, the sizes and dimensions, or anything else, get in touch with Sheds to Last and we would be happy to answer any questions. 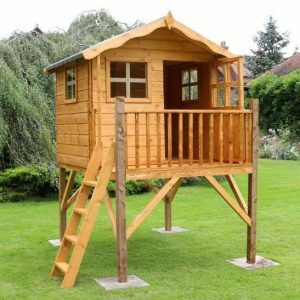 You can also browse our collection of high-quality, durable playhouses below for more inspiration.